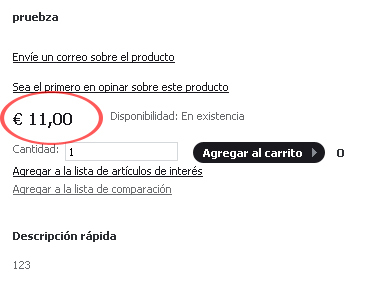 Magento fails when you change the Currency in your store. I mean it doesn't crash or something it's just it doesn't change the currency position. There is an easy way to change the currency position in the Locale (lenguage) you want. 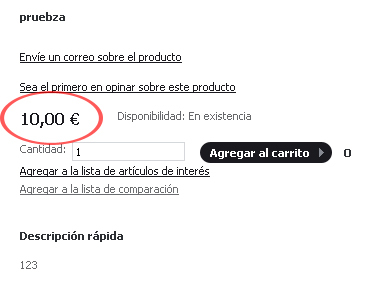 In my case I wanted to change the € simbol for the Spanish locale on my Magento installation. Now this becomes interesting. Try to refresh the Magento Cache and the browser cache. In my case nothing happened. The change made effect itself an hour after this. I'm not sure but I think its something about caching those XML files. Anyway, just be patient until the change comes by itself. deleting the cache folder inside the zend folder (lib/Zend/Cache) would be a BAD idea. It contains the zend cache logic. Deleting it would lead to a broken installation. The right approach is to delete the content of var/cache/ to get the changes live. Interesting, haven’t tryied that myself. Next time I need to fix this I’ll give it a try. That could also be achieved with css with this technique. I pass two days searching the problem, but your post gave me illumination to find the f+++ file to replace the currency and the decimal problem. Regards from Santiago de Chile. then it won’t work OK for US dollars anymore. Is this still an issue with the latest versions of Magento ? If so, it’s pretty lame. I wrote this post almost 5 years ago. If you happen to find the answer, please let us know Anita! 4.789.702 post views so far. This page needed 46 queries to load.